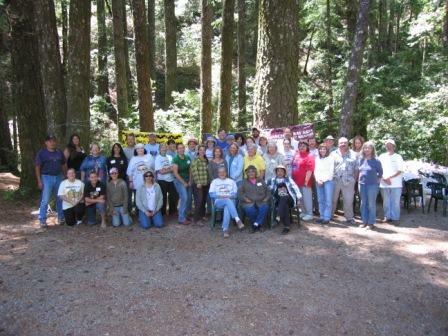 The San Francisco Bay Area Urban Indian Basketweavers (SFBAUIB) and the Bureau of Land Management (BLM) sponsored the eighth annual Weaving Connections basketweaving event along Bear Creek in the King Range National Conservation Area near Whitethorn, CA. This year Weaving Connections became the BLM’s first-ever PIT project. Sponsorship and support was provided by SFBAUIB, BLM’s Sacramento, Arcata and King Range offices, the Bear River Band of Rohnerville Rancheria, the California Department of Transportation (CalTrans), and the PIT Clearinghouse. 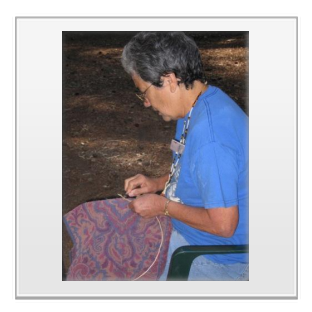 Under the coordination of Helen Ann Suri (co-founder of the SFBAUIB organization), representatives from several California Native American groups came together to present weaving projects and teach participants various traditional and modern basket weaving skills. 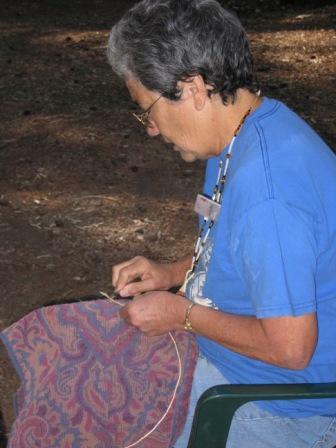 Weaving Connections was hosted at the Wailaki Campground and participants came from throughout the United States, including Maryland, Minnesota, Colorado, Idaho, and New Mexico. 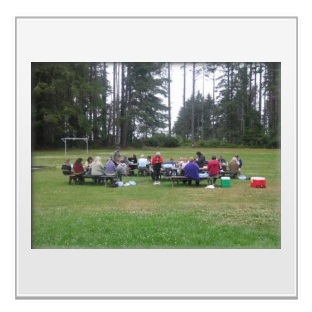 New participants were recruited from nearby areas, such as Whitethorn, Weott, Redway, Phillipsville, Miranda, and Garberville, with special emphasis on extending invitations to people associated with the Eel River Nation of Sovereign Wailaki. Participants began arriving on Saturday, June 23rd to set up camp and check-in began the next day after breakfast. 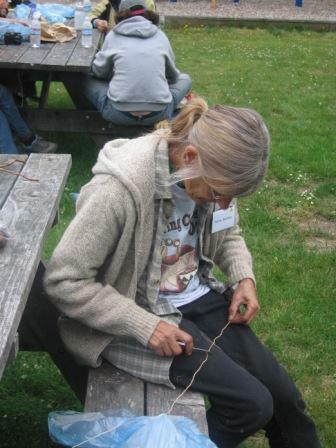 In anticipation of weaving in the afternoon, participants began cleaning spruce root. After lunch basketweaving began and continued throughout the rest of the day. 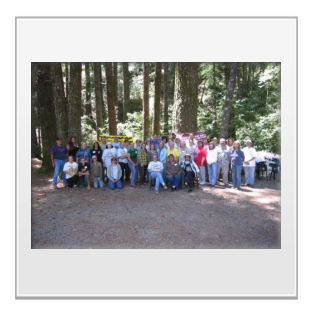 On Monday, the group walked over to tend to the hazel patch between Wailaki and Nadelos Campgrounds and to clear the field of hazel brush placed there in previous years. The hazel brush was transported down the trail to the Nadelos Campground where it was chipped by BLM personnel. 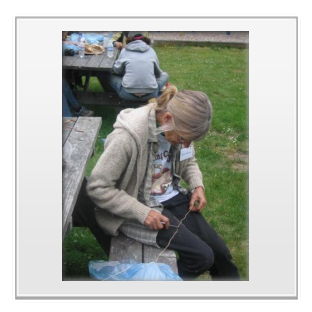 As the patch and field clearing work had gone so smoothly, participants had time after lunch to continue working on their baskets or explore the local area. After dinner on Monday evening, the Jorgenson family played their instruments and sang for a couple of hours. The concert was enjoyed by all. 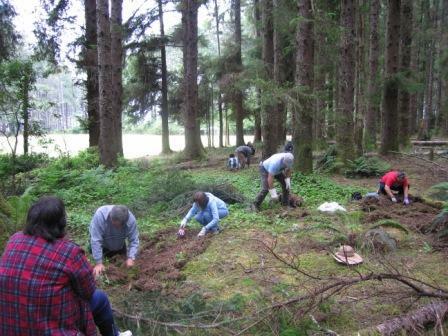 After breakfast on Tuesday morning, the group traveled north to collect roots in a beautiful spruce forest near Trinidad, CA. 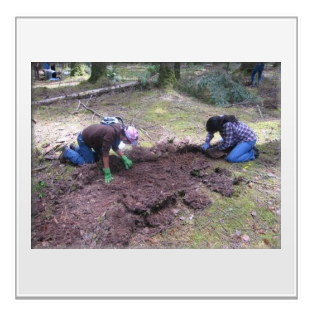 Participants learned how to roll back the duff to expose the root, collection procedures, and the proper way to put the duff back into place so as to leave the forest as they had found it. 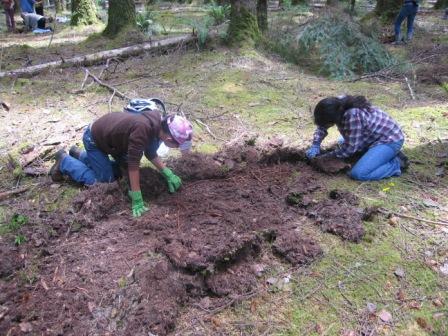 After collecting the spruce root time was spent cleaning and splitting the root in anticipation of more weaving. 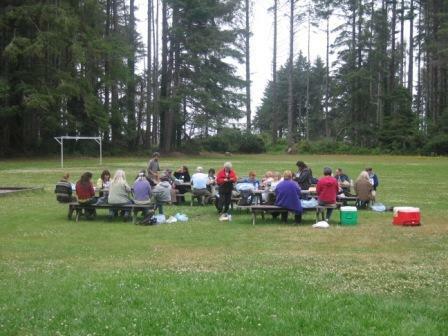 Participants enjoyed a delicious dinner of lasagna, salad, bread, and drinks before returning to the campground. 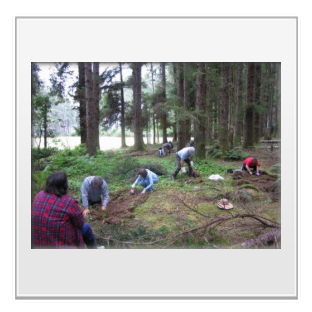 Wednesday was dedicated to cleaning and splitting the spruce root, continuing work on weaving projects, and a nature walk for participants to learn more about the local area. Thursday’s project was learning to weave small baskets using caning material before moving on to more intense instruction and weaving using the gathered spruce root. This weaving included adding additional support sticks (spines) and weaving in other materials to make designs. It was evident from the many different sizes, shapes, and basket designs that anything was possible. After breakfast on Friday, participants broke camp to begin their journeys home. From all the comments received, it was evident that a great deal was learned during the week and an extremely gratifying experience was had by all. The participants contributed in making the week a successful and fun event. Over the course of the week, forty-four people participated in the project and contributed a total of 1,470 volunteer hours.